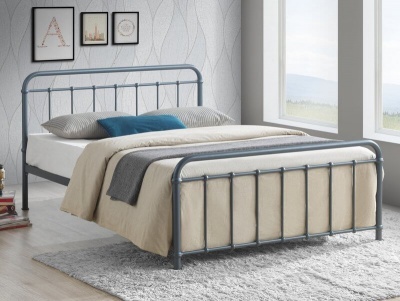 Comfortable padded headboard of the Cosmo double bed makes this a great choice for those who love to sit up and relax in bed. Rich dark brown faux leather works with a wide range of interiors. Contrasting stitching on the headboard adds interest to the design. 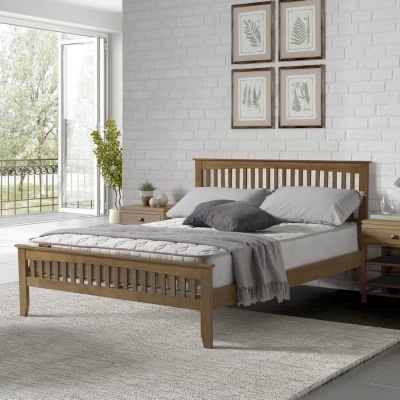 The sprung slatted base of this bed frame prolongs the life of your mattress and provides extra comfort. Fits a standard UK double 135 x 190 mattress available separately. Flat packed for home assembly, full easy to follow instructions included. No extra tools required.